A glitch within Google's free Google Docs utility caused some private documents to be exposed, the company has confirmed. Only a small number of users was affected, and the issue has now been fixed. Engineers discovered the Google Docs privacy problem over the weekend, initially posting about it in the official Docs Help forum. The bug, Google representatives believe, was limited to less than 0.05 percent of all documents within the system -- and the files affected were exposed only on a limited basis. 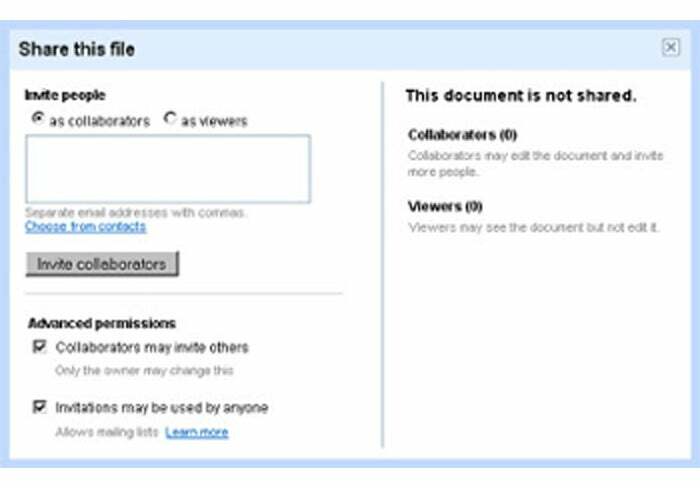 "The inadvertent sharing was limited to people with whom the document owner, or a collaborator with sharing rights, had previously shared a document," explains Jennifer Mazzon, product manager of Google Docs. "The issue affected so few users because it only could have occurred for a very small percentage of documents, and for those documents only when a specific sequence of user actions took place." That sequence of actions involved a user selecting multiple documents within his or her account, then making any type of adjustment to the files' "share" settings. Both documents and presentations were affected. Spreadsheets, however, retained their appropriate privacy settings in spite of the glitch. The good news: If you didn't receive an e-mail to the address associated with your Google Docs account, your account wasn't impacted. Google directly contacted everyone whose documents might have been compromised, indicating within the message specifically which files may have been shared. "We're sorry for the trouble this has caused," Mazzon says. "We understand our users' concerns -- in fact, we were affected by this bug ourselves -- and we're treating this very seriously."